Not only the Batteries Department is doing a poor job; the Printer Cartridge Department has been underperforming for years too. Technology is always advancing. Everything is constantly getting better in terms of speed, safety, accuracy, memory size, definition, comfort and almost every other parameter you can think of. I don’t know if it actually works like this but the way I see it is: There are scientists and researchers working on every single field of technology. Somewhere there is a person whose job is to make memory storage units with more capacity. And that person is doing a great job: hard drives, memory cards, usb drives and other memory storage devices are gaining capacity in smaller sizes every day. Somewhere there is a scientist whose job is to come up with cleaning products that remove stains more efficiently. And that scientist is doing a great job too: Cleaning products are more potent and less harmful to our clothes than it used to be. Somewhere there is a guy whose job is to create seedless fruits. And that guy has managed to come up with a couple of those too -special thanks for the seedless grapes, whoever you are-. The person in charge of improving the quality of monitors and screens is doing such a great job that I hesitate at buying a new one because I know that a better one will appear in less than a year. 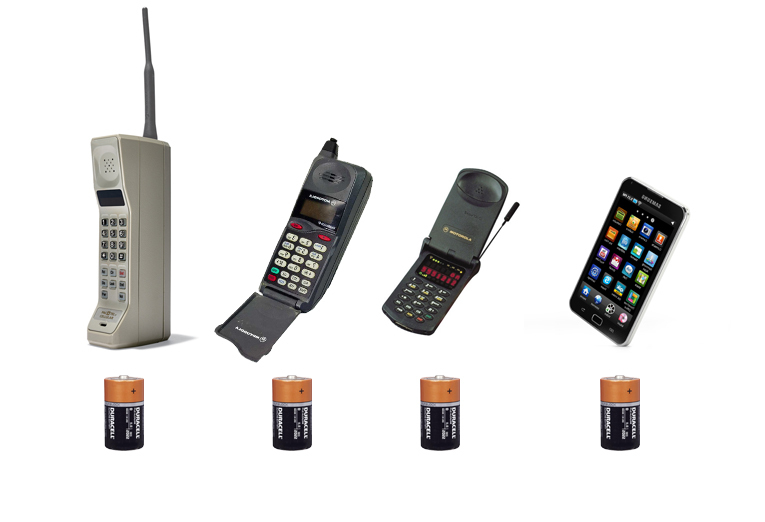 Actually, it´s hard to think of a technology area that hasn’t evolved significantly in the last 30 years. What´s the deal with the Batteries Department? Don’t they take any pride in their job? Maybe that area is an incredibly difficult one and the scientists involved are struggling to come up with significant advances but, they should’ve made at least some progress. Or maybe they should get a job somewhere else and leave the task to someone more qualified. We are curing terrible diseases, we have invented seedless grapes and cars that drive itselves but we can’t get our Smartphone to run for a full day without having to recharge the batteries. Don´t mind what environmentalists say, electric cars never really catched up because they weigh much more than regular cars and need to devote a lot of space to the bulky batteries, which only last a few hours. I´m sick of reading product descriptions that say Memory Size: 2 days of continuous recording. Battery Life: 2 hours. Are the people in charge of the Batteries Department the dumb cousins of the scientific community? Everybody is doing a great job but them. Them and the Printer Cartridge Department. I have a printer at home and it produces pictures of a fairly decent quality. But when I have to print something in color I go to the copy shop around the block because it´s so much cheaper than using my own printer. The cartridge cost per printed pages ratio is so bad that it´s actually less expensive to keep going to the copy shop and paying three bucks for an A4 color sheet than printing it at home. I’m ok with Capitalism but this is just ridiculous: how can it be that printer cartridges are almost more expensive than the printers itselves and last so little? Some time ago my printer ran out of black ink and I had to buy a new cartridge. I went to the store and they offered me a combo pack with two black cartridges. The price was a bit less than buying two separate items but that wasn’t a very tempting offer as I only needed one. I ended up buying it anyway because that was all they had and I thought I’ll need a new one sooner or later. Sometime after that the printer itself broke down. I contacted the manufacturer to ask about the repair service and they told me that they didn’t offer repair service for my printer as it was an old model -mind you, it was only five years old. Apparently printers measure time in genetically defective hamster years-. Long story short: I ended up buying a new printer and new cartridges as the spare one I was forced to buy in the two cartridges combo pack didn’t fit in the new printer -they never do-. Again, I’m ok with Capitalism but this is just ridiculous. Batteries and printer cartridges. Two key products whose evolution has been held back by -what I suspect is- sheer incompetence and/or excessive greed. Reblogged this on Vansh's Blog.